Summa, summa summa-time...summatime! You guys, that song is 27 years old! 27!!! There are actual adults that were not born when that song came out. Crazy, right?? You know what the best accessory to summer is? There is absolutely NOTHING that goes as good with the warm weather as gorgeous skin, healthy hair, and strong (fresh-mani'ed) nails. But have you ever thought about the fact that by the time we notice our skin, hair and nails have dipped to sub-par, it's too late. At that point, we head to the store to buy every. single. product. to try to get the sitch under control. Too late. We try to slather, spray and paint our problems away, and spend way too long on Pinterest searching for the quickest, "tested" remedies. Can anyone else relate? So why do we continue to do this to ourselves? It's so unnecessary when we just need to change our habits, not just for the summer, but year round. Treating our skin, hair and nails from the inside out throughout the year, is SO doable! Seriously! 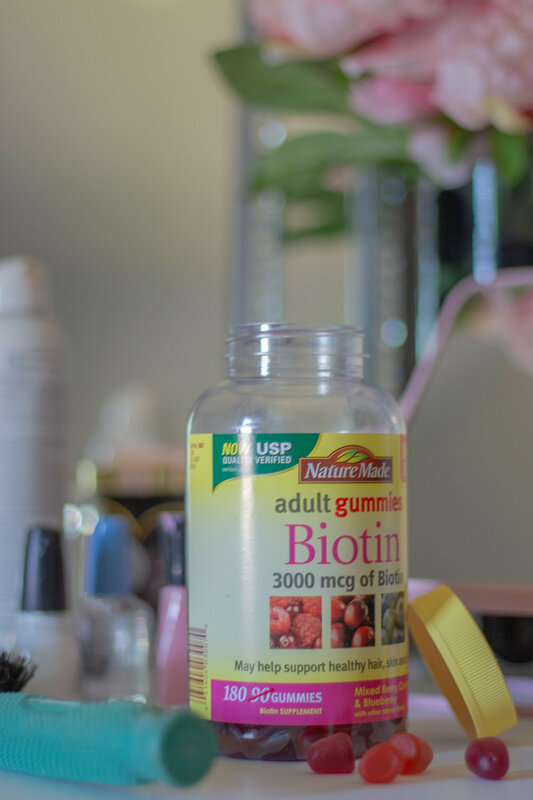 Because they do taste good, it's easy work them into your everday routine, and something you should definitely consider since biotin may help support healthy hair, skin and nails in those who are biotin deficient.† Nature Made® Biotin Adult Gummies contain 3000 mcg of biotin! Amazing right? They're also USP certified for potency, purity and quality, making these, "a gummy you can trust!" Testing their gummies also means you can rest-assured, get the nutrients you're actually wanting from your vitamins. 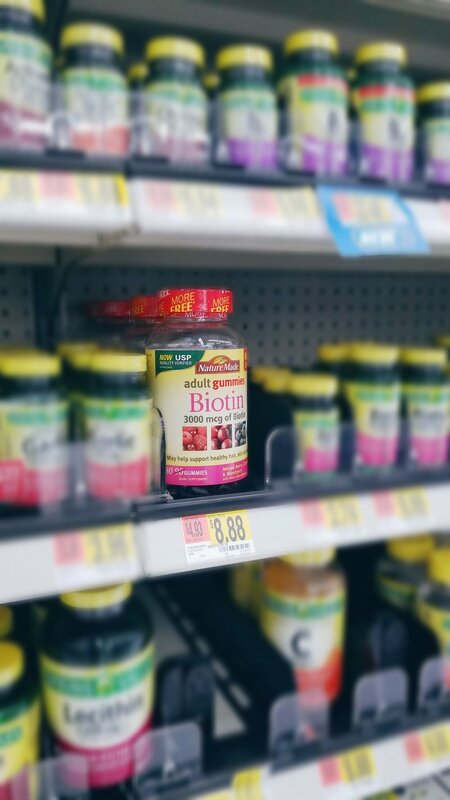 They're super easy to pick up, available right at your local Wal-Mart! Tip #2: Hydrate Naturally. That means check your soda and other sugary sweet concoctions at the door. Water is such an easy way to look good. Proper hydration helps rid the body and skin of toxins, and because skin is the very last organ reached after water consumption, you need to make sure to drink plenty of it. I think water-intake and radiant skin is common knowledge, but did you also know that ample intake of water will strengthen your hair? And for anyone suffering from brittle or cracked nails, increase your water intake as that can sometimes be a sign of dehydration. Tip #3: Add some citrus to your water. This doesn't just give your water a little kick, citrus slices like lemon or lime add Vitamin C and flavonoids, powerful antioxidants that strengthen collagen found in our skin. Yay! Tip #4: Eat Colorfully (and Healthy)! There is no better time than now to increase the intake of fresh fruits and vegetables. Rich in so many important nutrients, they keep you energized and help improve, well, everything, from the inside out! Seriously, everyone! Now is the time to make some easy improvements to our hair, skin and nails. Let me know if I missed an inside-out tactic that you're currently using this season in the comments below!